Join us for the Syracuse Style VIP pre-show party at Empire Brewing Co. Your ticket includes a craft beer of your choice, a fashionable feast prepared by Empire's Executive Chef Matt Ridett, a gift bag, and front row seats around the runway. The VIP party begins at 6pm in the private dining room at Empire Brewing Co. Delicious passed hors d'oeuvres and food stations will be set up, as well as your private end of the bar for VIP beverage service. Then you will ushered up to your front row seats for the runway show, which begins at 7:30pm. Sip your favorite beverage while you see what our Downtown Syracuse designers and boutiques have new for Fall 2018! 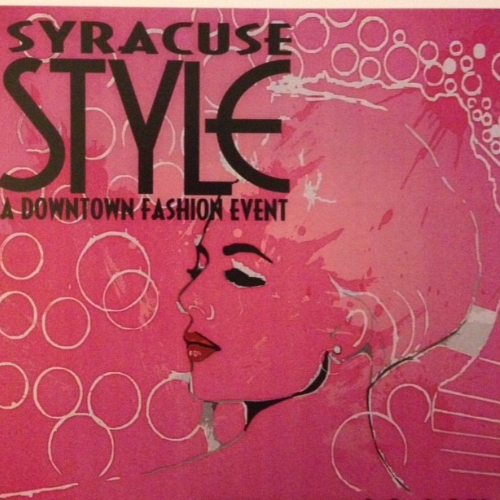 Syracuse Style is sponsored by Syracuse Fashion Week and the Downtown Committee of Syracuse. Proceeds to benefit the Food Bank of Central New York.